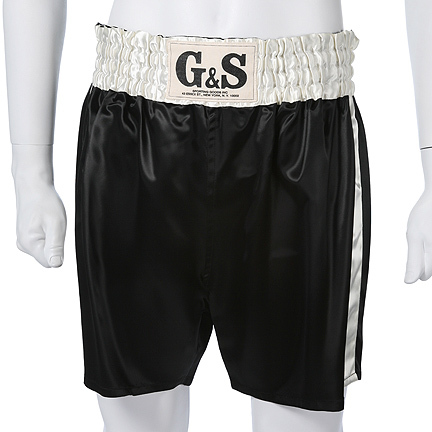 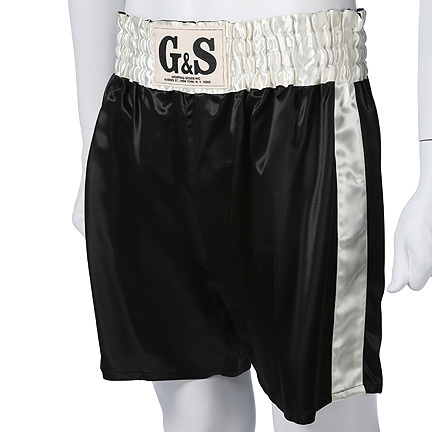 These boxing shorts were worn by “Rubin ‘Hurricane’ Carter”, portrayed by Denzel Washington in the 1999 biopic, “The Hurricane.” The black and cream satin G&S boxing shorts were custom made for Mr. Washington by Eric Winterling Inc. New York. 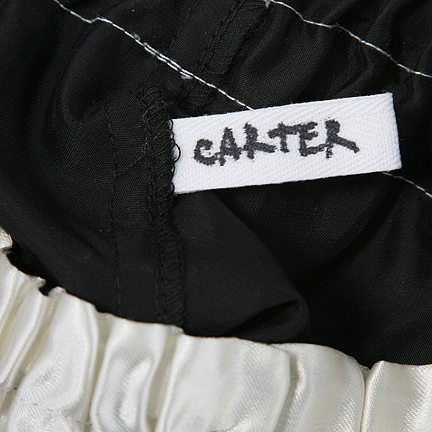 Internal label with “Carter” hand written in black ink. 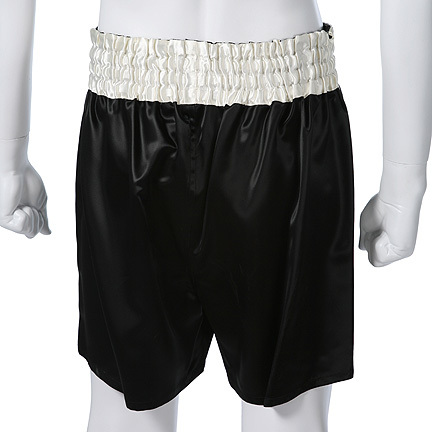 Mr. Washington can be seen wearing these shorts when the Hurricane beats the undefeated champion “Joey Cooper”. 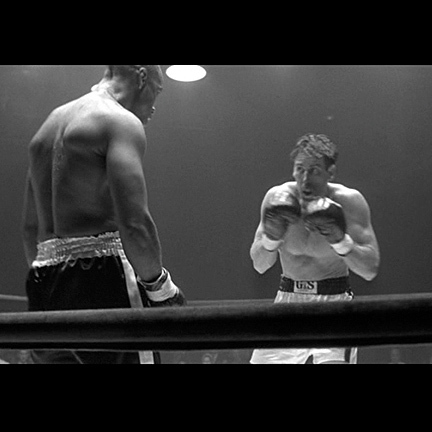 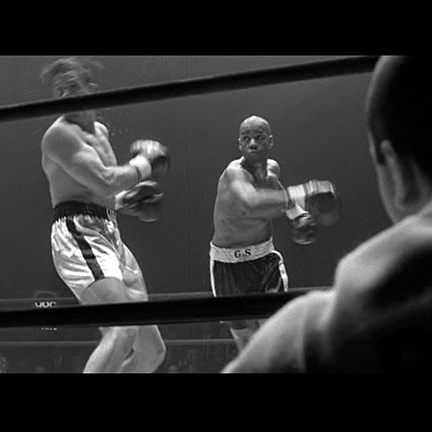 “The Hurricane” is a 1999 film directed by Norman Jewison and stars Denzel Washington in the title role. 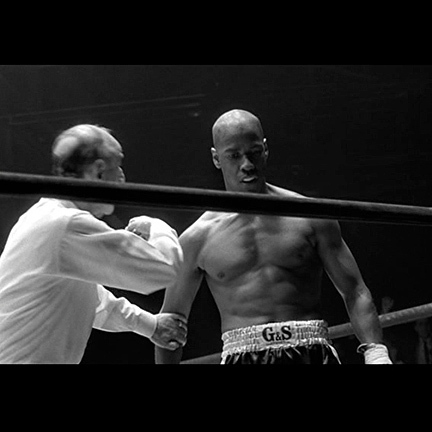 This biopic looks into the life of Rubin Carter the rising boxer who’s wrongfully convicted of murder, for which he spends 20 years behind bars. 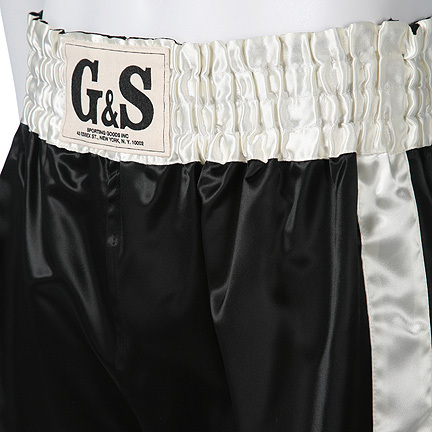 His story of struggle inspires a trio of Canadian advocates to help prove his innocence. 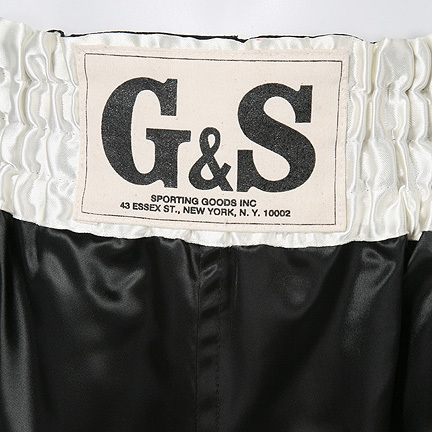 This garment is in good screen worn condition and is accompanied by a letter of authenticity.